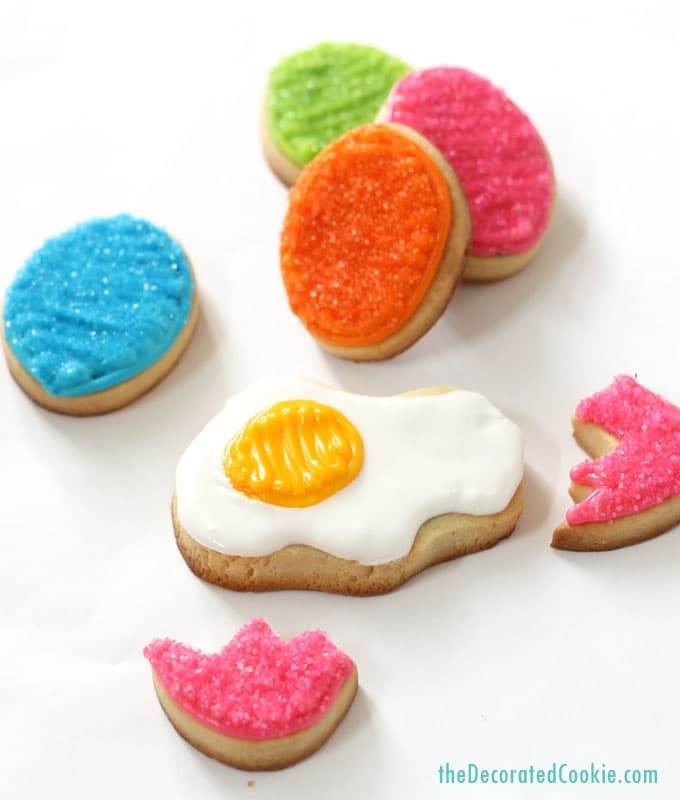 These "oops" cracked Easter egg cookies are a fun treat idea for Easter. 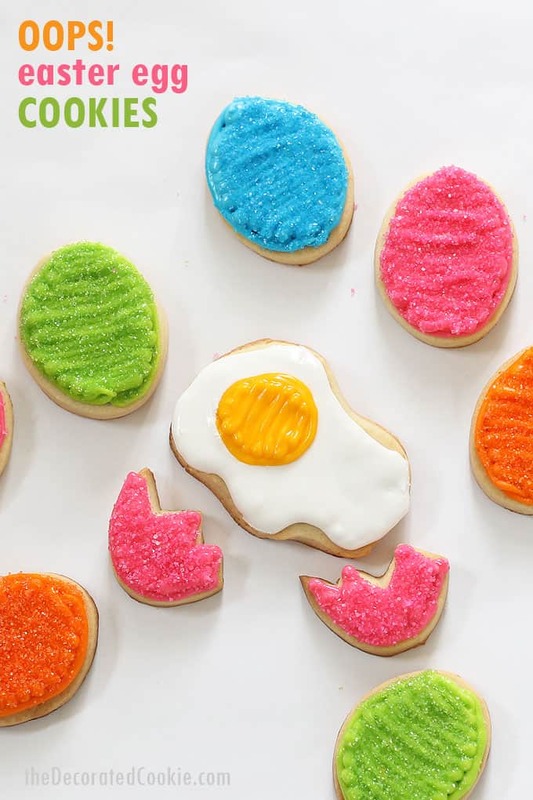 These silly “oops” cracked Easter egg cookies are a fun treat idea for Easter. Hey, we all make mistakes, right? Sometimes an Easter egg gets cracked. (I won’t point out that most Easter eggs are hard-boiled, so you wouldn’t actually get this mess of an egg.) 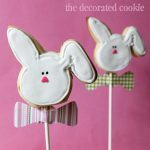 So if you plan on decorating some Easter cookies this year, maybe add something a little silly to get the kids to laugh? 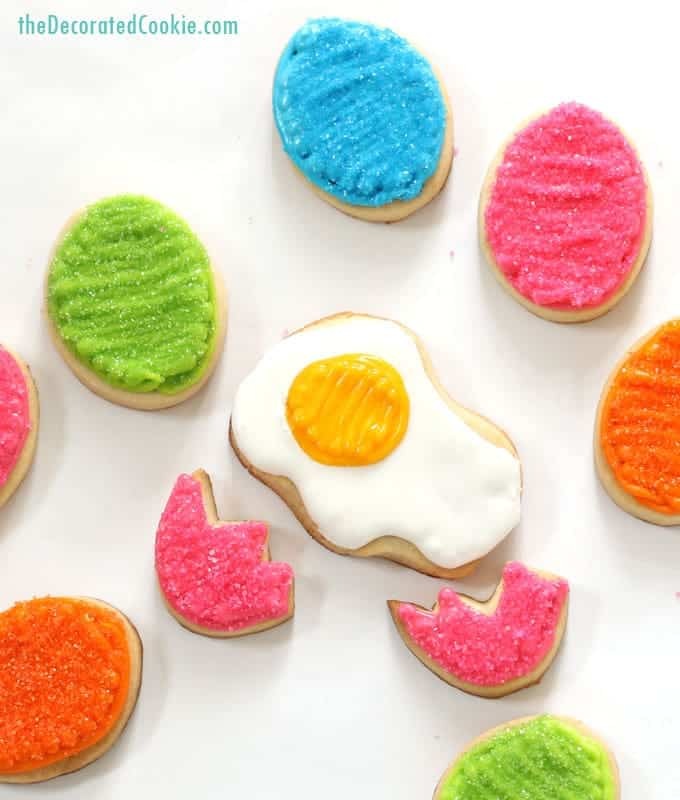 Like these “oops!” cracked Easter egg cookies? You’ll perhaps notice how simply I decorate the cookies, too, by relying on sprinkles. Sprinkles cover imperfections, so you don’t need to worry as much about the perfect consistency of icing. 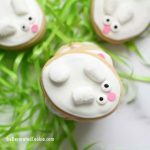 You can have a stiffer icing, one consistency for the outline and fill, and it doesn’t matter if you see the lines of icing because the sprinkles will cover them. (I could also argue that it doesn’t matter if you see the lines of icing no matter what, since these are so delicious, they’ll be eaten right away anyway.) 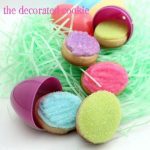 And these Easter egg cookies are so bright and sparkly. *Find most of the above in the craft store, or click the affiliate links. For food coloring, I suggest Americolor Soft Gel Pastes (Sky Blue, Orange, Electric Pink, Electric Green, Egg Yellow and Bright White used here). For basic cookie decorating how-tos, click HERE. For more tips on finding cookie decorating supplies, CLICK HERE. bake your cookies. Prepare cookie dough according to the recipe. Chill, roll out and cut out eggs. For the spilled egg, use a knife to cut out a blob shape. For the cracked eggs, cut out an oval and use a knife to cut the egg in half with a crack shape. prepare your icing. Prepare royal icing according to the recipe. Divide and tint your colors, some bright colors for the eggs and yellow and white for the cracked egg. I added some water to the yellow and white icing so that the consistency was a bit thinner to hide the lines of frosting, but it was still thick enough to outline the cookie without running off of the side. Prepare decorating bags with the frosting and close tightly with rubber bands. decorate your cookies. 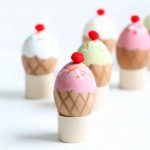 To decorate the Easter eggs, outline the eggs with a colorful icing, pipe back and forth to fill and immediately coat with a coordinating color of sprinkles. To decorate the spilled egg, outline the blob with white. Pipe to fill in the egg. Let it set 10 to 15 minutes. Pipe and fill a circle of yellow on top. Let the cookies dry overnight before handling and packaging.